The Caribbean is a territory rich in history. A history that goes far beyond “re-discovery” and colonisation. A history defined by the Indigenous peoples of our islands – their traditions, ways of life, art & craft, story-telling, language. This unique history and culture is often overshadowed by the story of post-1492 events and practices – foreign diseases, slavery, genocide. More recently I was able to connect with award-winning documentary film-maker Andrea Leland. Leland is working on a very exciting project in St. Vincent! In addition to other efforts being made on the island, it is a project that aims to revive a forgotten past and place it within reach of future generations. In this contributed article Leland shares her motivation behind the film, from the germination of the idea to the full-scale project that has gained momentum and visibility and is set to help reconnect a forgotten people to their rich history. Do enjoy. 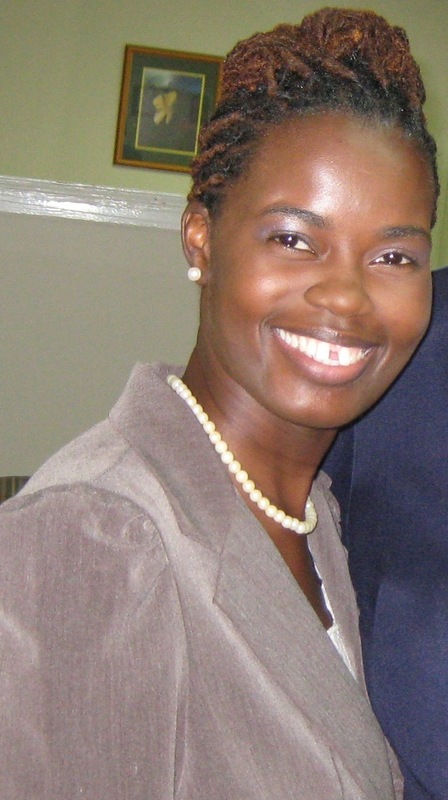 Andrea Leland has produced / directed award winning documentaries focusing on Caribbean and Latin American cultures. In Haiti, Belize, Chiapas, and several Caribbean islands, she works collaboratively with community members providing a forum to voice their untold stories, personal challenges and compelling triumphs. Social, artistic or political actions are placed within context of their culture, imploring the viewer to confront old myths and discover a new perspective. These documentaries are successful tools for cultural preservation. St. Vincent’s Carib /Garifuna community is currently undergoing a cultural revival. For over two hundred years, this afro-indigenous group had been silenced by colonial and societal oppression. 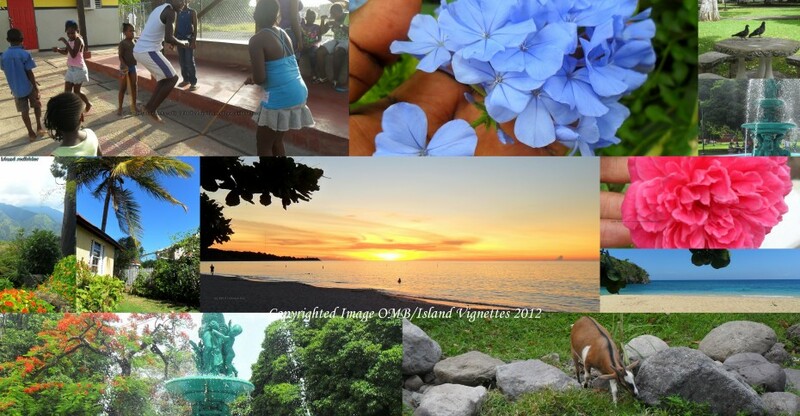 My current film project YURUMEIN is the untold story of the Caribs of St. Vincent. This story is largely unknown and deserves a place in the annals of African / Caribbean / American history. The film seeks to fill the cultural void for St. Vincent’s Garifuna who know virtually nothing of their Garifuna brothers and sisters who live beyond the sea. Interspersed with traditional Garifuna music, the Caribs on St. Vincent are given voice to tell the story of their painful past, while building an intimate portrait of Garifuna culture-in-transition today. We are given firsthand accounts from both Carib descendents who remain on the island of St Vincent and voices of returning descendants whose ancestors were exiled to Central America—where Garifuna traditional culture was able to survive and flourish. When members of the Diaspora are first reunited and make a collective pilgrimage to the sacred site of Balliceaux (where the genocide occurred) the film reveals the beginnings of a movement among Garifuna people to revitalize traditional language, music, dance, and ritual. As Garifuna from around the world come together to remember and celebrate the lives and resilience of their shared ancestors, they also begin to discover possibility and hope for the future of Garifuna culture and a greater worldwide community. In 1980, I was a graduate student at the School of the Art Institute in Chicago. I took a semester off and traveled to St. Vincent to research art and artists of St. Vincent. I wanted to find out what motivated the artists on St. Vincent, what resources did they draw upon to make ‘art”. While on the island I was told to stay away from the village of Sandy Bay where the Caribs lived. I was told the people there were unfriendly and did not welcome visitors. This piqued my curiosity and I made it a point to visit Sandy Bay. I was not welcomed, and I did feel some tension as an outsider. No one was friendly. I then heard that most of the community had been exiled to Central America. I wanted to learn more about those who had been exiled. What was their culture like? Why had no one ever heard of the Black Caribs or their story? Research proved difficult as there was not much written about the culture and I found no films on the subject. 14 years later in 1994 I found myself in Belize at the Garifuna Settlement day celebration in Punta Gorda…..and that was the beginning of my film THE GARIFUNA JOURNEY and my ongoing relationship with the Garifuna community. The Garifuna are the descendents of the native Arawak and Carib peoples of the Caribbean and West Africans. They are sometimes known as the “Black Caribs”. The Garinagu language is primarily composed of the Arawak and Carib native tongues mixed with African and European languages. First reported in the 17th century by British explorers, the exact origins of the afro-indigenous Garifuna people are uncertain; however, we know they lived freely on the island of St. Vincent for centuries. The Garifuna themselves believe the first Africans arrived centuries before Columbus did. A sailing expedition sent by Mali’s king Abu Bakr was said to have sailed off the coast of Africa and found land somewhere across the Atlantic. Some Garifuna also believe that in the 1600’s a slave ship crashed off the island. Many Africans survived and intermixed with the Caribs who took them in as their own, thus increasing the “Black Carib” population. The Caribs were known to be valiant and courageous warriors, protecting their homeland from European colonizers. First they defeated the French. British attempts to colonize the island of St. Vincent failed, the Caribs defeated the British as well. During the second Carib war the British brought in massive forces and after decades of war, defeated the Caribs. Following the defeat, most Caribs were rounded up and exiled first to Balliceaux where half of them died of disease and starvation. The survivors were sent to the island of Roatán, Honduras and from there the Caribs / Garifuna moved the mainland of Central America. Today there are over 400,000 descendants of those who were exiled, living along the coast of Central America and in the United States. Only a handful of Caribs remained in hiding on St. Vincent after the second Carib war. What inspired you to make YURUMEIN? In 2005, I was invited to screen my film THE GARIFUNA JOURNEY (1998), in various Carib villages on the island of St. Vincent. 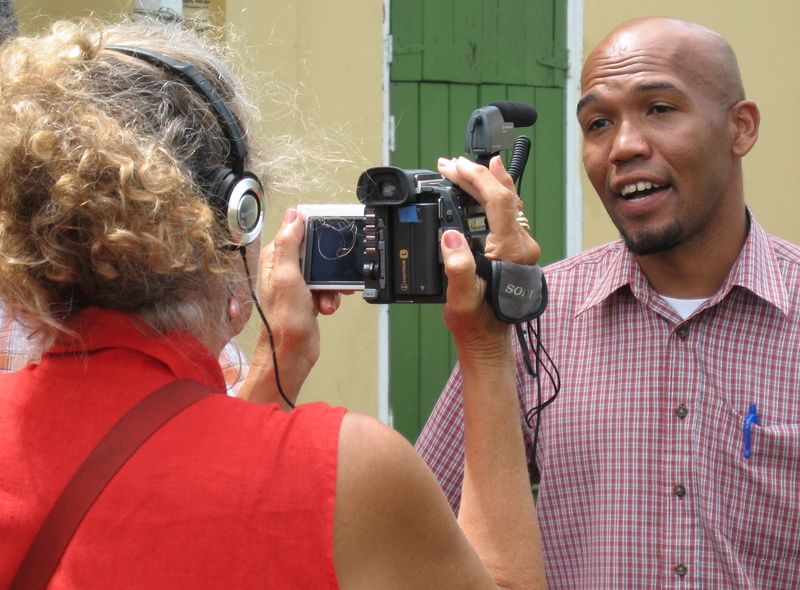 The film explores present-day Garifuna culture in Belize. As my film was playing in St. Vincent, I could see the audience response. For many of St. Vincent’s Caribs this was the first time they learned that Garifuna music, dance, and spirituality had survived off the island. They knew they had Carib ancestry, but did not truly know what that meant until they saw the film. I think for many, seeing the Garifuna Journey brought out a strong emotional response. With tears in their eyes, some approached me lamenting the fact that they did not have a culture of their own like what they were seeing in the film. I said maybe you don’t have the culture you see in the film, but you certainly have a rich story and culture of your own. I realized THE GARIFUNA JOURNEY only told half the story, that of the Diaspora. I picked up my camera that day and began recording the story of the Caribs/ Garifuna who live on St. Vincent. Why is Garifuna cultural revival so important right now? This is a unique time for this indigenous community. Currently on St. Vincent there is a segment of the population who, after decades of discrimination and being called all manner of derogatory words, has just learned about the survival of the culture off island and have an interest in rediscovering the links to their own personal Carib ancestry. After 200 years of repression these Caribs are seeking the truth about their history and culture, and what they thought was completely wiped out by colonialism. Through internet and archival research the lost culture is revealing itself to be alive and well. On another front, with the ease of air travel and internet communication, the Garifuna in the Diaspora are reconnecting with their “homeland” where their ancestors originated. Many are returning to pay homage to those who have come before. At the same time, they are, very slowly and deliberately, bringing back to St. Vincent, the language, the dance, the customs to those who want to reconnect and learn. 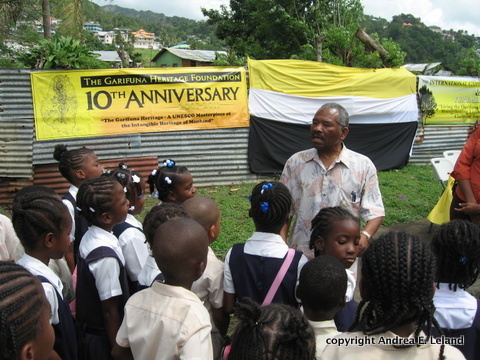 For both segments of the Garifuna community there is the threat of loss of culture. Western culture predominates. Any one culture that is vibrant, not stagnant, must adapt and change to survive. The more the culture is appreciated, practiced, reinvigorated, the more chance it has to thrive, bringing a sense of identity and self esteem to the community. Many indigenous communities face challenges with environment, civil rights, land rights, language retention etc. The Garifuna culture is another of these indigenous communities facing similar challenges for survival. What do you hope to achieve with YURUMEIN? This film has the ability to assist in reconnecting the Garifuna returning to their “homeland” searching for their physical roots and those on St. Vincent rediscovering the very rich culture that survived in the Diaspora. The film is meant to be a catalyst bringing exposure to an indigenous community in the throes of transition in a post colonial world. It is the story of resistance, rupture and repair. I made the GARIFUNA JOURNEY with the support of the Garifuna Diaspora around the time of the two-hundredth anniversary of the Garifuna defeat and exile from St. Vincent. In addition to the film, we created a multi-media travelling exhibit with photographs, videos, music and oral history pieces. The work we did for the GARIFUNA JOURNEY helped earn the UNESCO title, “Proclamation of Masterpieces of Oral and Intangible Heritage of Humanity” in 2001. Like us onfacebook and follow us ontwitter. Check out other Vignette Feature Stories! I could not agree more. Motherhood is a priviledge that should not be taken for granted.